Plus ça change, plus c’est la même chose. The more things change, the more they stay the same. 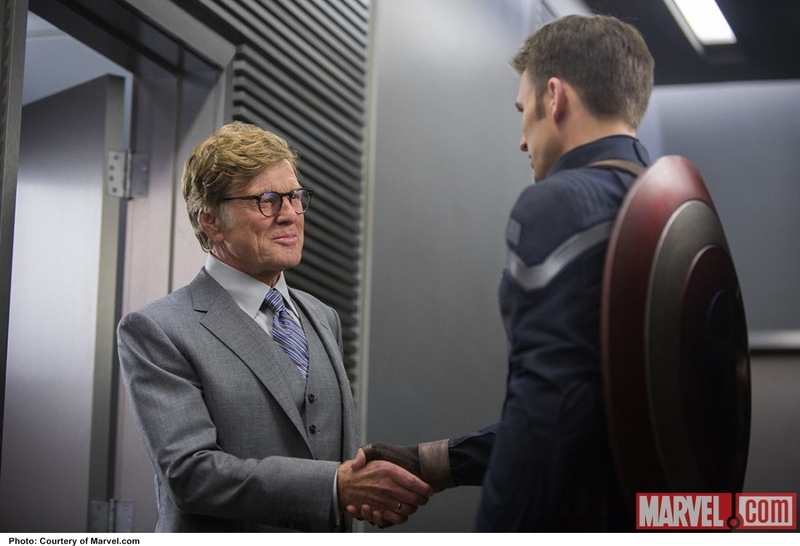 Robert Redford’s very presence in the blockbuster Captain America: The Winter Soldier lends truth to that 19th-century epigram, coined by writer Jean-Baptiste Alphonse Karr. Not because that august actor has spent much time among superheroes, spandex, CGI, and larger-than-life combat. In fact, Captain America is a first in a career that is now into its sixth decade. 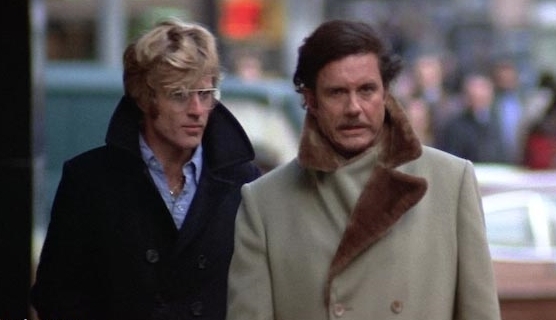 But in taking part in this mammoth entertainment Redford inadvertently calls forth memories of one of his classic ’70s movies, Sydney Pollack’s Three Days of the Condor. At a glance, Captain America: The Winter Soldier and Three Days of the Condor would appear to have little beyond Redford in common. The latter is a 1975 paranoid thriller, short on action but high in suspense as Redford plays Joseph Turner, a CIA member – not a spy, but a reader whose job it is to ferret out whatever intelligence can be gleaned from poring over books, newspapers, and magazines – who becomes a target after his entire section is killed while he’s at lunch. The stakes are higher in Captain America as the titular superhero Steve Rogers (Chris Evans) fights to save humanity from those who would enslave it in vicious battles that range from urban warfare to skirmishes in the sky against hordes of committed killers and one seemingly unstoppable Winter Soldier (Sebastian Stan). For all the films’ surface differences, the similarities are striking. In both, the guiding principle is “Trust no one,” advice explicitly given Rogers by his boss Nick Fury (Samuel L. Jackson) and quickly understood by Turner when his attempt to come in from the cold goes awry. The CIA, for which Turner toils, has been compromised from within, and so has SHIELD, the agency that employees Rogers. Three Days of the Condor, adapted from James Grady’s 1974 novel Six Days of the Condor, reflects the cynicism of the Watergate era. Coming out in the aftermath of WikiLeaks’ many exposés and Edward Snowden’s revelations about NSA spying, Captain America: The Winter Soldier, adapted from the Marvel comic book series, expresses this era’s distrust of institutions in a plot that ups the ante: The duplicitous faction of the CIA in Three Days of the Condor only mean to wreak havoc in part of the world, while the criminal elements in SHIELD want to take over the entire planet.